It is that time of the year again; when we are thinking of Halloween and pumpkins. If you are looking for steps in Halloween pumpkin carving for beginners, then this guide can help. Experts suggest choosing a pumpkin with no dents, scratches, bruises etc. You also need to decide on the design so in case you are looking to have a standing pumpkin, choose one accordingly. Selecting a pumpkin is not much different than selecting a Christmas tree. You can have personal preferences in that; you could select a round, perfectly fat one or alternatively select an odd shaped one just because no one else wants it. Small pie pumpkins are also fun to work with. Remember, pumpkins come in two varieties: cooking and stock pumpkins. The stock ones are bigger in size and ideal for carving. Pumpkin carving for beginners includes an important point: be very gentle with your pumpkin; do not drop or scratch it or play around with it. This will only shorten its life. Paring/boning knife for cutting and carving smaller details. Corer-Use an apple corer to make freckles, dots etc. You can use the corer’s curved sharp edge to score the pumpkin. Cookie cutters-These can help you punch out designs of your choice in the pumpkin. Use a hammer to insert the cutters and punch out desired shapes. 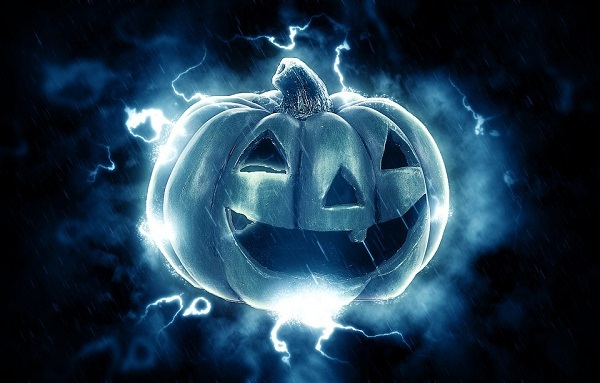 These days, there are wonderful Halloween pumpkin-carving templates available on the Internet. You can also use your creative ideas for the pattern and sketch the same on a paper. In either case, you can trace the design on the pumpkin with a marker or use adhesive gum and paste the template on the pumpkin. Some experts also soak the template paper in water and lay it on the pumpkin. Once the paper is dry, you can start carving the pumpkin. Always make your mistakes on paper. If you are unsure, paste the paper on the pumpkin and then carve through. In case you are using a small pie pumpkin, use the entire one and score out the outer cover rather than cutting it all the way through. Scoop out the gut to leave a rind that is one inch for small/medium pumpkins and 2 inches for bigger, thicker pumpkins. For uneven pumpkins that sit cockeyed, cut straight across the bottom than the top. You can place the pumpkin over a candle instead of trying to light one from the top. Whatever pumpkin carving pattern you have chosen-easy or complicated-use one rule. Always keep everything connected to the pumpkin and leave no islands. Also always start from the middle and work your way out. This is an easy one among the many Halloween pumpkin carving ideas. Score your pumpkin just a bit and scrape off a little layer off the rind. The design will look beautiful once it is lit on the inside. Imagine your pumpkin as a canvas rather than head and that just might make things easier. It is a good idea to buy several pumpkins. Experiment with twinkling eyes, howling mouths, crooked features etc. No two carvers can be the same-there will always be a difference between how you carve and how someone else does. If you are a beginner, go in for simple scenes like moon, cat etc. Simply a repeating pattern all the way around the pumpkin. Cut your pumpkin in half lengthwise and put both halves next to each other. Now carve large eyes in each half. Make letters, icons, wishes or warnings. Forget about the islands? Cut too far? Fix mistakes by joining small pieces with toothpicks. Always leave an opening on the top to avoid soot left behind by burning candle and let out heat. A cool, frost free place is ideal for storing the pumpkin. This way, it will keep for at least 2 months. Remember: cold weather is good, hot weather is bad for your pumpkin. Preserved carved pumpkins can last for about 2 weeks. Dunk the pumpkin after carving in cold water. This will curb moisture loss and help prevent rapid degradation. Once it is out of the water, dry it completely. Rub every cut surface with Vaseline or petroleum jelly. You can alternatively use vegetable oil or clear furniture wax. Grim reaper-Paint the front part white. Draw black teeth, nose hole, and use a black fabric to pin it around the face like a hood. Chained Halloween pumpkin- Using black paint, draw evil eyes and evil grin. Use chains to bind the pumpkin to the porch steps. Add some cobwebs for dramatic effect. The porch steps and front yard are the best places to display your unique pumpkin carving ideas. You can also place small carved ones in hanging planters, windows etc. 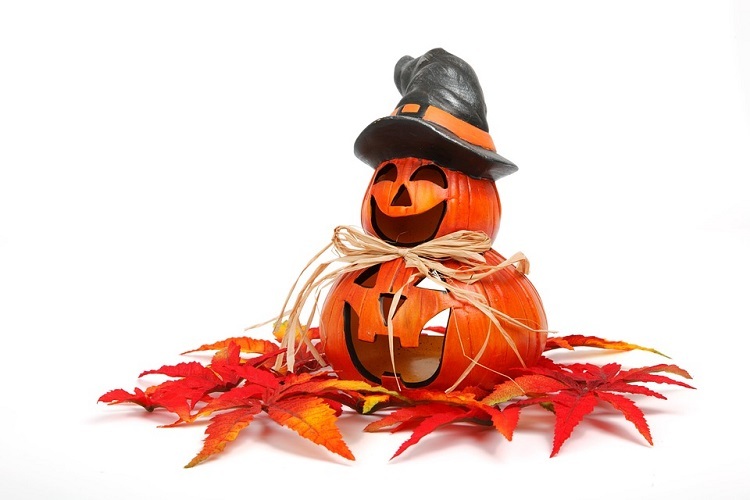 Create a totem pole of different sized Halloween pumpkins and vary them from large to small. You can add a strand of decorative lights or a cheap flashlight instead of a candle.